During the brief span of just one decade, hundreds of millions of perfectly ordinary people made history: they became the only ones who would remember what it was like when the Harry Potter saga was still unfinished. What it was like to seek out friends, families, online forums, fan fiction, and podcasts to get a fix between novels. When the death of a character was a hotter bet than the World Series. When the unfolding story of a boy wizard changed the way books are read for all time. And as webmistress of the Leaky Cauldron, one of the most popular Harry Potter sites on the Internet, Melissa Anelli had a front row seat to it all. Whether it was helping Scholastic stop leaks and track down counterfeiters, hosting live PotterCasts at bookstores across the country, touring with the wizard rock band Harry and the Potters, or traveling to Edinburgh to interview J. K. Rowling personally, Melissa was at the center of the Harry Potter tornado, and nothing about her life would ever be the same. The Harry Potter books are a triumph of the imagination that did far more than break sales records for all time. They restored the world's sense of wonder and took on a magical life of their own. Now the series has ended, but the story is not over. 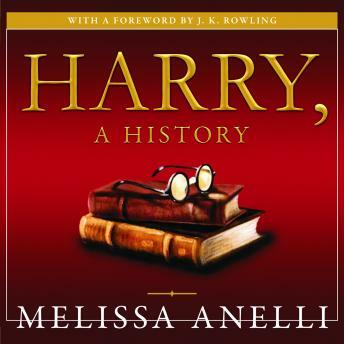 With remembrances from J. K. Rowling's editors, agents, publicists, fans, and Rowling herself, Melissa Anelli takes us on a personal journey through every aspect of the Harry Potter phenomenon-from his very first spell to his lasting impact on the way we live and dream.